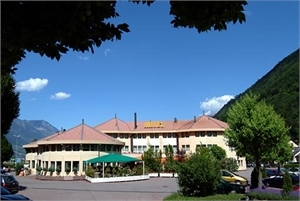 Hotel Porte d'Octodure Martigny-Croix - Book now! 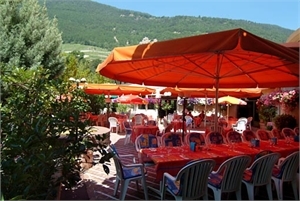 The Hotel Restaurant La Porte d'Octodure is located 100 metres from the Martigny-Croix train station. It offers 33 rooms, free parking and free Wi-Fi. All rooms in the La Porte d'Octodure Hotel are soundproofed and feature a flat-screen cable TV. 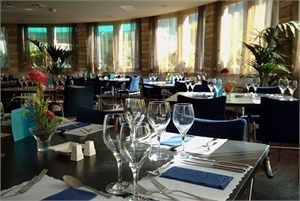 The La Toscana restaurant features a summer terrace and serves aromatic Italian cuisine. 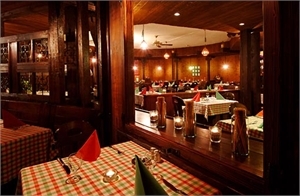 In the cosy Brasserie you can enjoy specialities from all over Europe. From the Martigny-Croix Train Station you can easily reach Verbier and from the bus stop in front of the hotel you can quickly reach the centre of Martigny. The A9 highway is 4 km away. Conveniently located with direct access to the motorway and connecting routes to Italy (Gr. St. Bernhard) and France (col de La Forclaz). 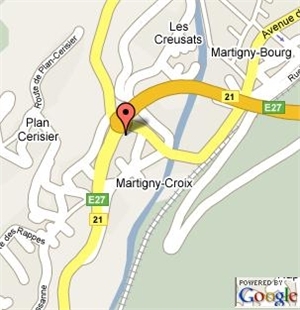 Martigny-Croix is situated in Valais, Genferseeregion, Switzerland.